The refreshment kiosk near the Masters’ Houses was the only building realised by the third Bauhaus director Mies van der Rohe. The idea of having a kiosk in this location came from the city of Dessau’s urban planning authority. It was the Lord Mayor of Dessau himself, Fritz Hesse, who asked Mies van der Rohe to come up with a design, because he considered another work of Bauhaus architecture near the Bauhaus buildings a must – even if it were only a kiosk. Under supervision, Mies’ student Edward Ludwig drew up the plans for the architectonically distinctive refreshment kiosk, which was built in 1932. 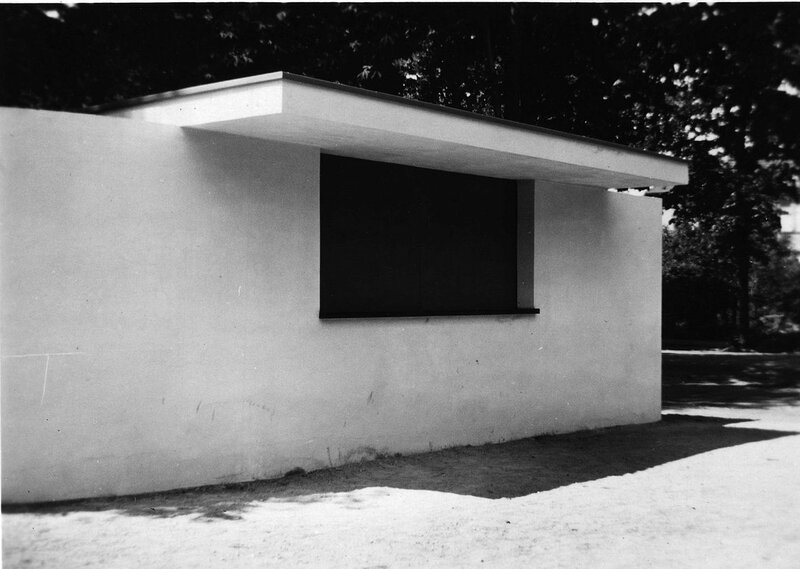 The kiosk was not designed as a standard pavilion, but effectively builds on the two-metre-high garden wall surrounding the Gropius House. From outside the wall, all one sees is a window opening with a roof above it; from inside the garden it cannot be seen. The kiosk became a point-of-sale for alcohol-free beverages, confectionery, tobacco goods and postcards. The kiosk survived the war largely intact, but for unknown reasons it was then demolished in 1962 and replaced by a fence. 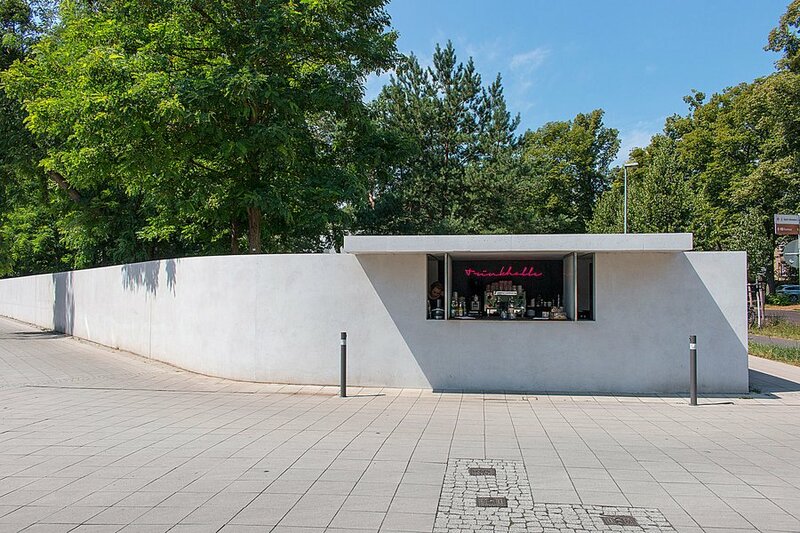 With the repair of the urban planning environment of the Masters’ Houses completed in 2014 by Berlin-based architects BFM the kiosk also returned to the junction, reduced to its pure form in a contemporary interpretation. The kiosk opened again in June 2016 after having been closed for over 70 years. It has now regained its former function and supplies refreshing drinks and coffee at weekends throughout the summer months. Thursday to Sunday 12 – 6 p.m.